9 mm Titanium, with dual silver carbon fiber and a handsome Meteorite inlay. This stunning ring comes with a signed certificate of authenticity guaranteeing this is actual Gibeon Meteorite. 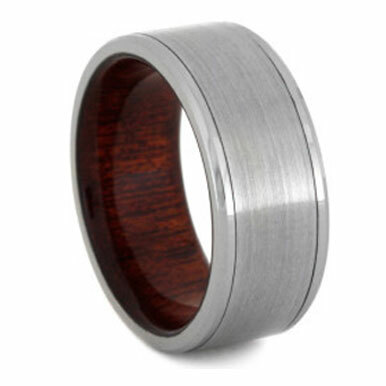 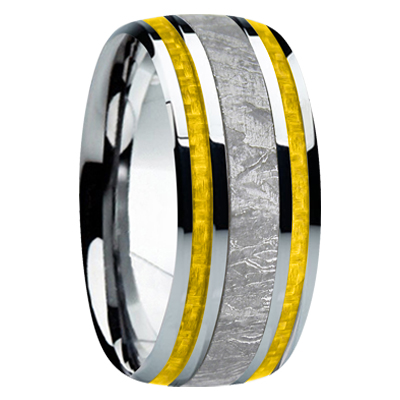 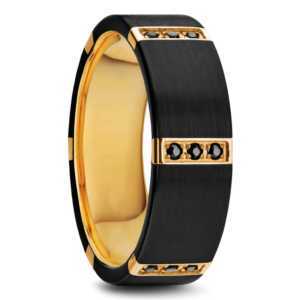 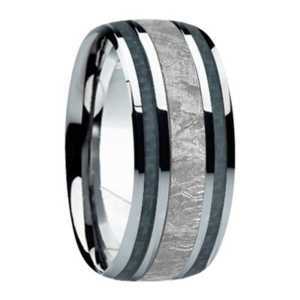 This ring is also made with the following carbon fiber inlays: white, gun-metal gray, blue, red, and yellow.